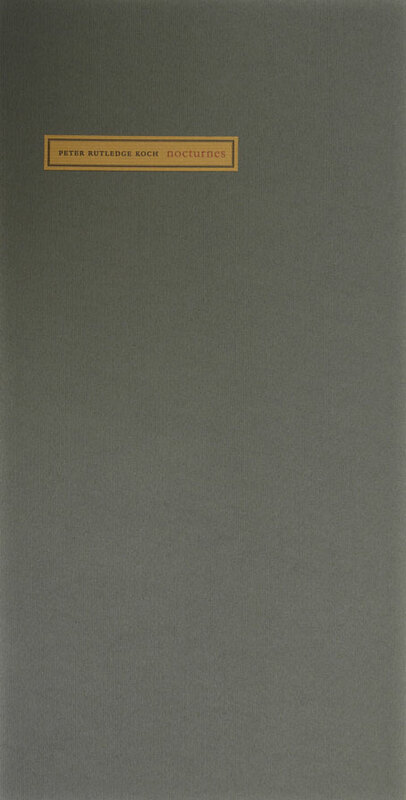 Peter Rutledge Koch; illustrated by Dirk Lee. 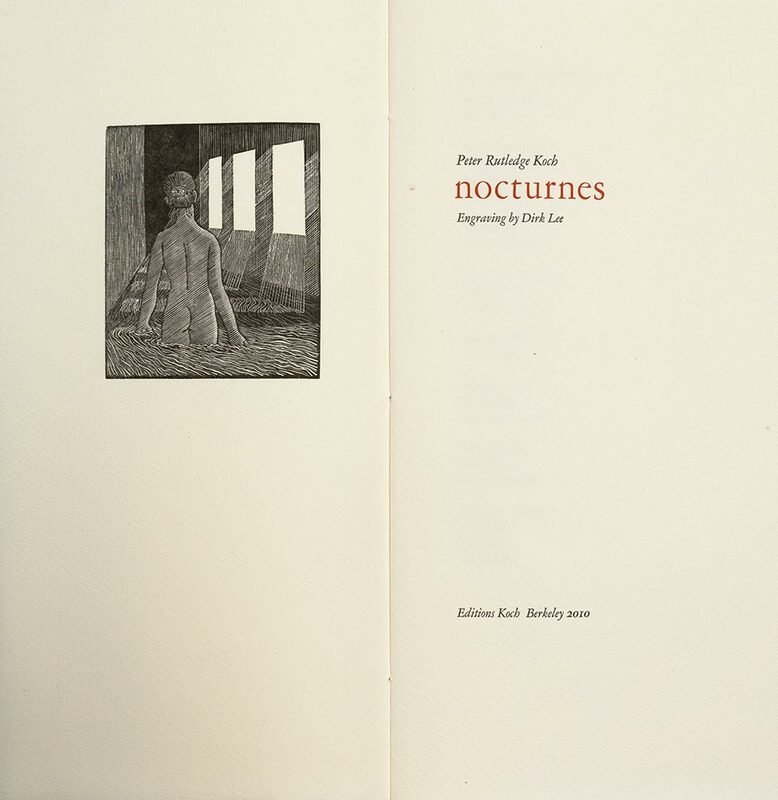 Nocturnes was printed in an edition of sixty-five copies at Peter Koch Printers by Monique Comacchio with the assistance of Jonathan Gerken. 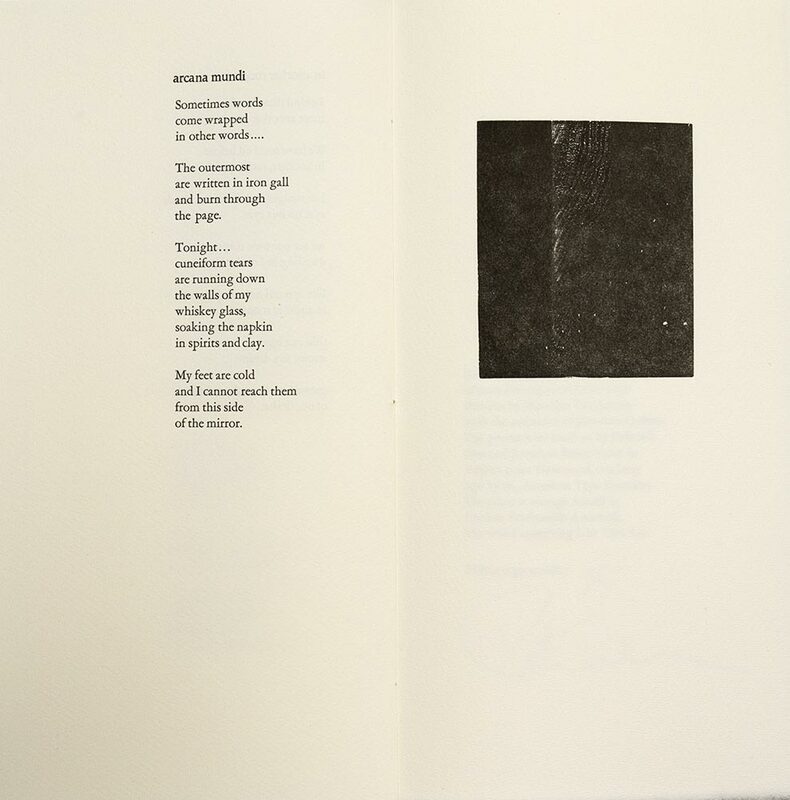 The poems were hand-set by Deborah Hsu and Jonathan Fetter-Vorm in sixteen point Garamond, cast long ago by the American Type Founders. The paper is vintage Amalfi by Cartiera Fernando Amatruda. The wood engraving is by Dirk Lee.